I’m on a kick with the roasted chicken lately. It gives me lunch for almost the whole week, especially when I throw in some sweet potato, carrots, and onions to cook. Also, it’s super easy, which is a perk during the weekdays. I’ll keep this short and simple, here’s the recipe! 1. 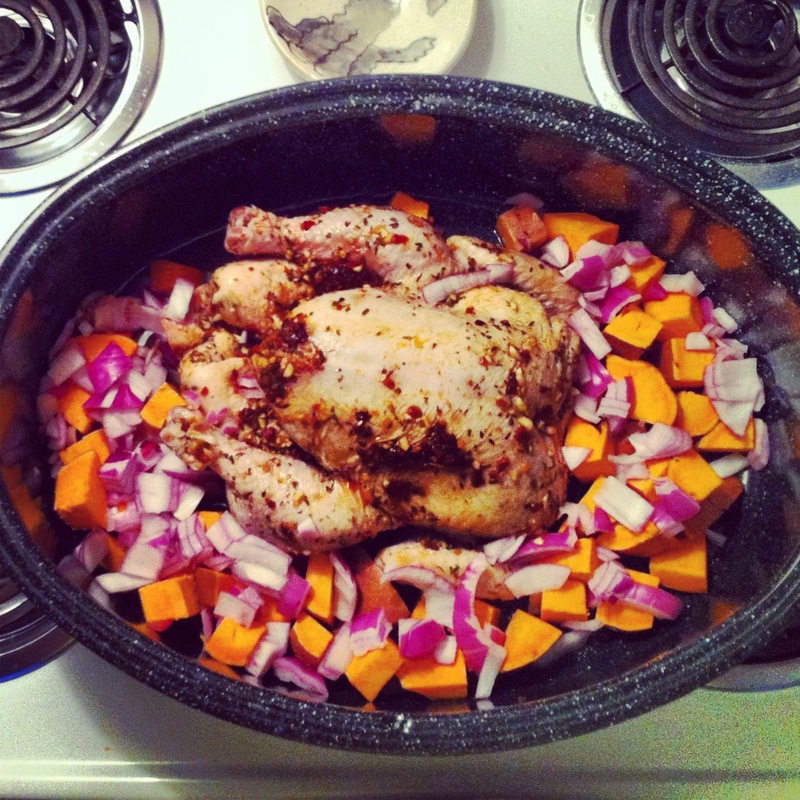 Place bird in a baking dish.Pour orange juice onto bird to wet it, saving juice in pan. 2. Mix all dry ingredients (and honey) together and rub onto the chicken, using the wetness from the orange juice to make it stick. 4. After the bird has marinated, put it in a roasting pan (one with a lid). I cut up sweet potato and onions to cook with it. 5. Cook in oven at 350 for about 60 minutes (20 min per lb) or until done. This entry was posted in Uncategorized and tagged clean eating, diet, gluten free, Paleo, Recipe by fionaboger. Bookmark the permalink.